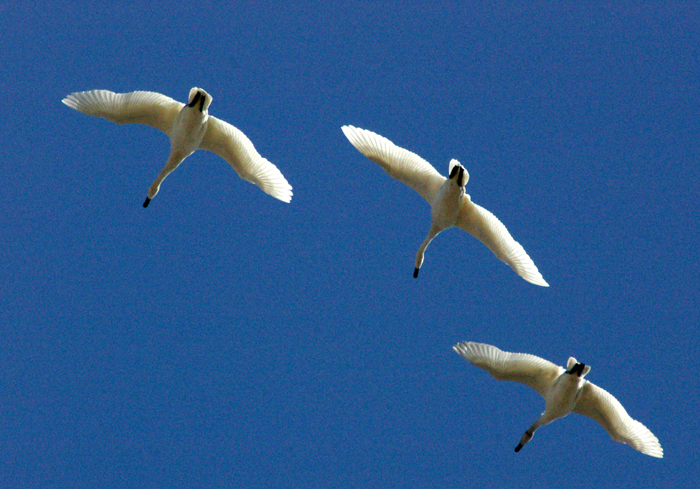 Three beautiful Tundra Swans in flight are lit against a blue sky. 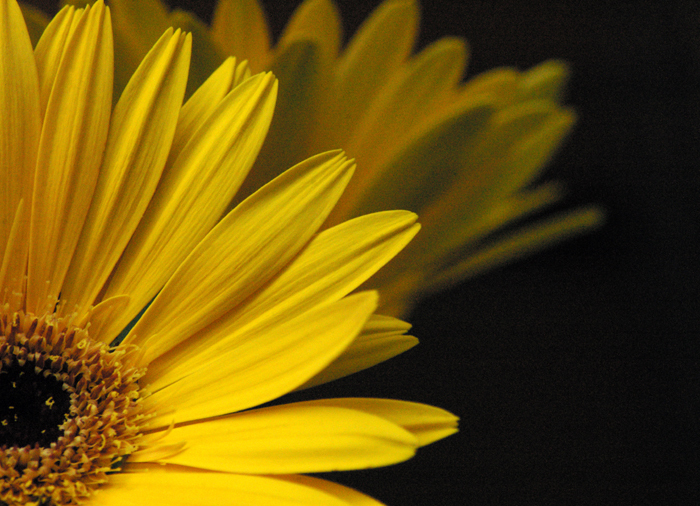 The beautiful Gerbera Daisy, native to South Africa, attracts bees and butterflies to the garden. These lovely flowers were a gift from a neighbour. 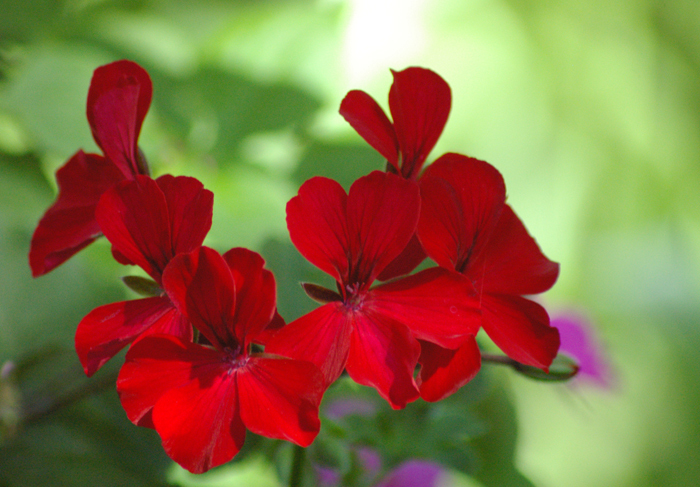 Caliente Fire geranium lives up to its name with an intense red colour. 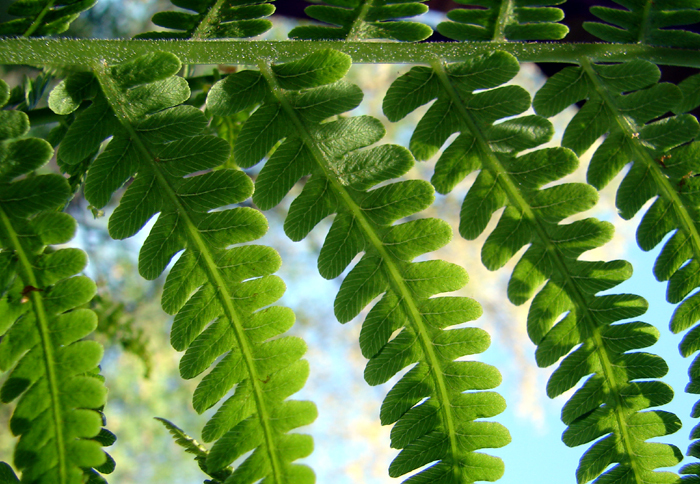 The Ostrich Fern, Matteuccia struthiopteris, is a common native plant.